Hammertoes can be a painful condition to live with. For more information, contact one of our podiatrists of Carolina Foot & Ankle. Our doctors will answer any of your foot- and ankle-related questions. All runners should take extra precaution when trying to avoid injury. If you have any concerns about your feet, contact one of our podiatrists of Carolina Foot & Ankle. Our doctors will treat your foot and ankle needs. The condition that is referred to as Sever’s disease will typically affect young teenagers. Noticeable symptoms may include inflammation and swelling in the heel, and this may be a result of an injury that may have occurred to the growth plate. Patients who are afflicted with this condition may notice they are walking on tip toes or limping, and their feet may feel stiff when they are waking up. It typically affects older children who frequently participate in sporting activities. 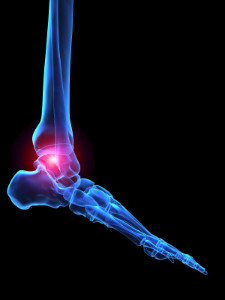 This may cause the tendons and muscles to tighten, and pressure may be put on the growth plate. Mild relief may be found if the activities are stopped that may have caused this condition. Additionally, some patients find it helpful to wear shoes that have an open back, or to wrap the heel with an elastic bandage. If you think your child may have Sever’s disease, it is advised to consult with a podiatrist who can properly treat this condition. Sever's disease often occurs in children and teens. If your child is experiencing foot or ankle pain, see one of our podiatrists at Carolina Foot & Ankle. 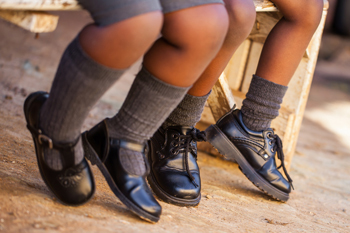 Our doctors can treat your child’s foot and ankle needs. If you have any questions, please feel free to contact our offices located in Huntersville, Mooresville, and Mountain Island, NC. We offer the newest diagnostic and treatment technologies for all your foot and ankle injuries. Gout is a painful condition that can be treated. If you are seeking treatment, contact one of our podiatrists from Carolina Foot & Ankle. Our doctors will treat your foot and ankle needs.